When I sit down to one of the Sunday morning wine tastings I conduct here on our dining room table, I never quite know what I’m going to get. I taste wine from every corner of New York State and, frankly, sometimes it can be an extreme sport. There is a lot of bad wine being made in New York, people. There. I said it. That’s one reason I appreciate Wolffer Estate so much. 99% of the time, I know what I’m going to get — elegance, balance and quality. This Wolfer Estate 2006 Reserve Merlot ($20) is a fine example of that. And, it's a decent value in $20 local merlot from a cool vintage. Medium-dark garnet in the glass, this red is 100% merlot and smells of of black cherries, thyme, oregano, dried leaves, subtle hints of flowers and sweet oak. Lighter and elegant in style (lovers of California merlot may not even recognize this as merlot), the palate shows floral flavors with sweet cherries, more of those herbs and spice. Fine-grained tannins and acidity make this a nice "food wine" and I don't mean that in a bad way. A wet stone note on the medium-length finish is also interesting too. Last Tuesday, as a part of PALATE 2009, Nena and I attended a wine and cheese seminar led by Shannon Brock from the New York Wine & Culinary Center. Shannon is someone that I've known in the virtual world for some time now, so it was a great pleasure to finally meet her in person. In it's-a-small-world style, Shannon is also the niece of good friend of my in-law's. The seminar started with a little less on tasting wine -- you know, all the S's etc. It was actually very similar to a class Shannon teaches at the Center, the main difference being the wine and cheese selections. Typically she'll include wines and cheeses from throughout the state, but for PALATE, the three wines and the three cheeses were all Finger Lakes born. The cheeses, seen here (from 10 o'clock and moving clockwise) were Red Buddy from Muranda Cheese House, Red Meck from Finger Lakes Farmstead Cheese and Cayuga Blue from Lively Run Goat Dairy. Of the three, my favorite was probably the Red Buddy, which is a semi-hard cow's milk cheese that tastes mostly like Swiss cheese with a little cheddar character as well. But, all three cheeses were delicious. The three wines that we tasted, first by themselves and then with the cheese, were Sheldrake Point Vineyards' 2006 Reserve Riesling, Red Newt Cellars 2005 Cabernet Franc and Arbor Hill Grapery 2007 Vergennes. Far and away, my favorite of the three was the Sheldrake riesling, a wine that I included in the New York Cork Club a few months ago and have several bottles of in my cellar. Before I move on to the pairings themselves, let me tell you a bit about this Vergennes, which is actually a varietal wine made from the Vergennes grape, a vinifera-labrusca cross named for the town in Vermont with the same name, where it was originally found. Shannon included it because it's something different, but it apparently was very popular amongst the wine judges from California in last years New York Food & Wine Classic. What did I think? I didn't think much of it, honestly. There was some melony-grapey fruit there, but also an overwhelming detergent (as in Tide) character. Unique, yes. Good, no. As part of the seminar, Shannon had us taste each cheese with each wine. Here are my notes. Earlier this week I mentioned Channing Daughters Winery's winemaker, Chris Tracy, his focus on traditional methods and the parallels he draws between Long Island and Friuli. Well, here is yet a wine that proves those points. Channing Daughters Winery's 2006 Envelope is a blend of 70% chardonnay and 30% Gewurztraminer. That may not seem all that interesting, but wait. Inspired by the “Vino da Meditazione” wines produced in the Friuli region of Northeast Italy, the fruit that went into this wine was hand-harvested, de-stemmed and fermented on their skins in an open top fermenter. Basically, its a white wine that was made like a red wine. And the results are fascinating. So fascinating in fact that this is a wine that I probably wouldn't have enjoyed or appreciated just a few years ago, but I certainly do now. A dark gold, almost orange, color in the glass, the nose is intense with dried apricots, peaches, golden raisins, honey-roasted nuts, flowers and a deluge of baking spices. The medium-bodied palate is exotic with roasted hazelnut, dried fruit, Gewurzty floral and spice notes and hints of peach and vanilla. The finish is War and Peach long and very much painted by that 30% Gewurztraminer. Some would call this a weird wine, and they'd be right. But weird isn't always a bad thing, is it? I enjoyed this wine over the course of a full week and it changed every day. Sometimes the floral notes jumped out. On other occasions, the dried apricot or spice stepped forward. It didn't quite all come together for me at once, but this is one of the most interesting, thought-provoking wines I've had in a while. Personally, I'm proud that a blogger like me -- someone not from California (the enter of the U.S. wine world) and someone with a day job outside of the wine world -- has apparently earned a place alongside people who write about for a living. That's the power of blogs afterall, isn't it? Citizen journalism and all that. The Long Island Merlot Alliance(LIMA) has announced that Donnell Brown will be taking over as the group's Executive Director, taking over for Len Dest whose other commitments led him to step down. Brown has worked in marketing and public relations for more than 15 years, and has been a serious student of wine for a decade. She holds Intermediate and Advanced (pending) Certification from the Wine and Spirits Education Trust and is an active member of the James Beard Foundation, the Slow Food East End Convivium, and a member of the Board-led Outreach Committee for the Peconic Land Trust, a land conservation organization dedicated to the protection of working farms (including vineyards) and natural lands on Long Island. Hopefully, Brown will be able to help the group grow its membership and also become more publicly active in the local wine community. Roman Roth, winemaker at Wolffer Estate is perhaps best known for the wines he crafts from merlot, including the $125 Wolffer Estate Premier Cru and the wines he makes under his own label, Grapes of Roth. I've also lauded Roman fort he great things he does with the chardonnay grape. But, as much as I enjoy those wines, I think some of the other wines he makes are under-appreciated, including this Wolffer Estate 2006 Pinot Noir ($35). As we all know, pinot noir can be difficult both in the vineyard and in the cellar. They don't call it the ‘heartbreak grape’ for nothing. Add Long Island’s humidity and inconsistent weather from year to year to the equation and you almost wonder why wineries even bother. I know of at least one winery that doesn't anymore, growing pinot only for sparkling wine nowadays. But it most years, Wolffer Estate makes a varietal pinot table wine, and it's often among the region's best. If you're a lover of fleshy, syrah-oaked pinot from California, you should look elsewhere. Lively, bright bright cherry and cranberry aromas are backed by hints of baking spice, cigar box and dried herbs on an alluring nose that evolves and changes throughout the course of the evening. Medium-light bodied, the palate is fronted by cherry and juicy cranberry flavors with a smoky, spicy and savory quality beneath that kept me going back for sip after sip. I take my time with the wines I review, but I took even more time with this one. The long, balanced finish has just a hint of leaf tobacco along with sweet red cherry flavor. With fresh acidity and light, fine-grained tannins, this is a wine that shines brightest at the dinner table. And isn't that where wine is meant to be, anyway? When people not familiar with Long Island wine ask me to name my favorite winemaker or winemakers, Chris Tracy from Channing Daughters Winery always makes the list. In a wine community stridently devoted to making fine wine from Bordeaux varieties, he takes his cues from northern Italy. Many consider him an extremely creative winemaker, but what looks like creativity is really just a focus on and devotion traditional methods. That doesn't mean he's not creative though, as this blend shows. Channing Daughters Winery's 2007 Mosaico ($29) is a field blend of 32% pinot grigio, 29% chardonnay, 14% sauvignon blanc, 12% muscat ottonel, 7% Tocai Friulano, and 6% Gewurztraminer that comes from a co-planted block in their Sylvanus Vineyard in Bridgehampton. This is, simply stated, a beautiful expression of that Sylvanus Vineyard. Aromas of crisp apple, spring flowers, brown spice and Clementine orange mingle on an intricate, seamless nose. Medium-to-light bodied with clean acidity, this blend's fruit flavors range from apple and pear to peach to honeydew melon. There is a floral-spice vein that runs through it as well. It finishes fresh and minerally. There are wineries on both sides of this heated debate, but it seems as though the number of New York wineries against Governor Paterson's proposal to allow grocery stores, convenience stores, delis, gas stations, etc. (wherever beer is sold today). I haven't seen a list of wineries who support the proposal, but here is the list of those willing to come out against it. Note that this is a list of wineries who oppose the grocery store portion of the proposal, not just wineries who oppose the overall proposal. As I've already mentioned, I co-hosted a comparative tasting as a part of PALATE 2009 last week. The tasting was held at Atwater Estate Vineyards, where 12-15 people had the unique opportunity to taste wines made by Atwater's winemaker, Vinny Aliperti, fromi both Atwater and Vinny's own winery, Billsboro Winery. We should some video of the event and have three clips pieced together, starting with this introduction where you'll not only see yours truly in his LENNDEVOURS video debut, but also see me almost burn myself on the wall-installed heater behind the tasting bar. I also reveal the true pronunciation of this blog's name. Check back in a few days for a clip about the 2008 rieslings we tasted and also one about 2007 pinot noir. All of the "discussion" surrounding Governor Paterson's proposed changes to the New York wine industry is having some perhaps unexpected consequences. I just wanted to let you know that, unfortunately, we will NOT be conducting our “New York Wine Month” program in April as planned. This decision is based on information from the four wholesaler companies who have been very supportive: Elmira, Empire North, Opici, Southern, and Winebow. The reason for the postponement is the controversy surrounding the issue of wine sales in grocery stores, which at least temporarily has created much uncertainty as to whether the liquor stores would participate in the promotion. For your information, NYWGF is neutral on this issue, as are many wineries, but for many stores “neutral isn’t good enough”. It is truly a shame that wineries are the “collateral damage” (innocent victims) in a battle that is not theirs. We hope that when the dust settles we’ll be able to revive this program, and that we’ll have a budget to support it. We appreciate your interest, and will keep you informed. Winery in Manhattan. They'll be discussing the history and growth of the Long Island wine industry, highlighting the recent successes and recognition the region has received. The 90-minute program will include a guided wine tasting, featuring the following six wines, all of which have been graciously donated by the respective wineries. Wolffer Estate Vineyards 2004 Estate Selection Merlot. This is a great and unique way for New Yorkers to learn about the wines being made in their own back yard. The local wine region doesn't do as much outreach direct to consumers in NYC as it probably should, so check it out. Everyone who loves wine has a memory that stands out with perfect clarity thanks to a single bottle of wine. We remember the meal, the lighting in the room, the conversations shared over the bottle. This is the power of wine. It is far more than a beverage. If we are fortunate, we have not one special wine memory, but many. I will never forget the moment I drank the first sip of Rosso del Bepi from Giuseppe Quintarelli. I can tell you how many people were in the room and what they were saying when I drank my first glass of Ravines 2005 Pinot Noir. I remember being frozen in place, unable to move as I first tried Jean-Michel Stephan's Cote Rotie. And my wife and I will always smile as we recount the opening of a bottle of Hermann Wiemer 1994 Riesling. Last night I added a new wine memory to the collection. As Lenn mentioned, he joined Jason, Melissa, me, and our spouses for a LENNDEVOURS dinner at the new Watkins Glen Harbor Hotel. Lenn brought several bottles of Long Island wine for the occasion, and one of them was a bottle I had long desired to try: the Grapes of Roth 2002 Merlot. We split the meal between Finger Lakes whites from the restaurant menu and Lenn's cache of Long Island reds. Before we even ordered we opened the Grapes of Roth and poured it into our glasses to encourage the wine to open up. My experience with Long Island wines remains rather limited, so I was excited not only to drink more Long Island wine, but to drink a wine with such a strong reputation. But some of the most satisfying wine memories are rooted in surprise. When we finally arrived at the main course -- a simple and perfectly cooked Filet for me -- I picked up the glass like a child picks up a wrapped present. After taking in the rich, intense nose, I found that the wine was... good. Very good, even. I did not expect the intense spice and white pepper on the palate, and it was a gorgeous match with the beef. But "very good" wine does not engender lifelong memories. And so I can concede my utter astonishment with the next wine that Lenn opened -- the Paumanok Vineyards 2000 Grand Vintage Cabernet Sauvignon. This nose of this wine was like pure, fresh asparagus. Maybe -- if you peeled back the asparagus -- you could find some roasted Brussels sprouts. There was very little fruit in the nose (I'm assuming it's receded with some bottle age). And I loved it immediately. That's because the wine brought a delicate balance of dark fruit and green flavors on the palate. It evoked my favorite French wines without seeming like a pale knockoff. It was long. And I'll always remember the look on Nena's face when she caught me staring at the glass, agape after my first sip. "Isn't this amazing?" she said. To conclude a story that is undoubtedly too long already, let me reiterate my small sample size in tasting Long Island wines. Most have been quite pleasant, but none has moved me like this. But now I am emboldened to seek out more. 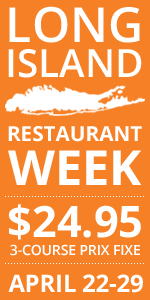 I hope to get a better feel for what Long Island's varietal characters are. If they are anything like the 2000 Paumanok, well, I'll just have to find a way to expand my wine budget. What are your special wine memories? Today, I'd like to thank the folks at Atwater Estate, including winemaker Vinny Aliperti (left), assistant winemaker, Justin Boyette (right), and owner Ted Marks for their hospitality as we co-hosted a comparative tasting of 2007 wines. We had around 12 people join the tasting and I think it was a huge success, and even more fun. Nena shot some great video (we hope) and I'll be writing another post about the event, probably next week. I'll be writing up a full post in the next week or so, but our first Finger Lakes stop today, at Anthony Road Wine Company, was simply a great experience. Meeting winemaker Johannes Reinhardt, assistant winemaker Peter Becraft and also the owners, Ann and John Martini, was a pleausure. And then we tasted the wines, which clearly reflect Reinhardts philosophy and impres sed across the board. As a special treat, we got to taste a few not-yet-bottled 2008 dessert wines. Keep an eye out for them next summer/fall. Beyond those two, my wines of the day were the 2007 Dry Riesling ($16) and the 2007 Martin-Reinhardt Selection Riesling ($22). But, we'll talk more about those when I can thumb through my notes and write a proper post. For now, I'd just like to thank the entire Anthony Road team for their hospitality and for taking two hours out of their busy days today. We just got back to our beautiful hotel room at the Watkins Glen Harbor Hotel after a fun wine and cheese session that was part of this week's PALATE festivities. Stay tuned for more on the session, which proved one thing -- everyone tastes and enjoys different things when you're talking about pairing wine with cheese. Still, we tasted some great (and I mean I'm-going-to-seek-some-out-before-we-leave-town great) cheese and some tasty local wines. Stay tuned for more information and pictures. Home-turned-professional winemaker Jim Waters owns one of Long Island's smallest wineries -- it's the storage/bay area behind his tasting room in a small industrial strip mall in Cutchogue. Jim, through his wines and through his personality, helps his small winery stand next to the big boys of Long Island wine. 2006 was a so-so year for most growers, but this Waters Crest Winery 2006 Private Reserve Cabernet Franc ($35) doesn't show any of the barely or underripe flavors some 2006s I've tasted present. 16 months aging in new French oak probably helps in that regard. Dark crimson red in the glass, this 100% cabernet franc displays ripe red raspberry aromas with tobacco leaf, star anise and vanilla on a true-to-the-variety effusive nose that fills the room quickly. The oak is much more apparent on the medium-bodied palate. The same intense, ripe black and red raspberry fruit flavors are there, but they are hidden a bit behind young, still-raw oak flavors and vanilla. The tannins are ripe, though more significant than usually found in Long Island cabernet franc, and the finish is spicy, earthy and long, ending on a licorice note. This is a wine that I'd like to taste again in a year or two. If the oak smooths out and takes a half-step back so that the fruit and secondary flavors can shine, this wine could really impress. T omorrow morning, Nena and I leave from her parents' house in rural Schoharie, NY and head down to Corning to attend a couple days of PALATE, a food, wine and art showcase in Finger Lakes wine country. Organized by Finger Lakes Wine Country, Corning’s Gaffer District and The ARTS Council of the Southern Finger Lakes the week-long festival starts today and promises to be a fun event for the cold-this-time-of-year region. We're going to have a fun- and wine-filled couple of days. Before we even join the PALATE festivities, we're heading to Anthony Road Wine Company to taste with winemaker Johannes Reinardt and assistant winemaker Peter Becraft. From there we'll drive down Route 14 to our hotel at the southern tip of Seneca Lake, the still-new Watkins Glen Harbor Hotel. Shannon Brock, wine coordinator at the NY Wine and Culinary Center. Shannon will be stepping us through the art of tasting wine and cheese and pairing several locally made cheeses with Finger Lakes wines. In the evening, I'm very happy to be having dinner with Evan, Jason and Melissa, the LENNDEVOURS Finger Lakes staff, with spouses, at Blue Point Grille. The wine list features many great local wines and I'm bringing a few of Long Island's best with me. Wednesday, we'll be even busier, starting the the tasting I'm co-hosting at Atwater Vineyards with winemaker Vinny Aliperti. You can read more about the tasting in a previous post about it. From there, we're probably going to shoot up the eastern side of Seneca Lake to attend a barrel tasting at Hazlitt 1852 Vineyards. Does anyone have any lunch recommendations for that area of the Seneca wine trail? from many of my favorite wineries, including Dr. Konstantin Frank, Heron Hill, Sheldrake Point, Wiemer and Atwater. Expect some blog posts during the day (assuming I can connect to wifi at a couple of the events) and I'll also have my video camera with me. I hope to see some of you at the goings on. Please make sure that you introduce yourself if you come, and really, why wouldn't you? Lately, it’s been frustrating for me to keep fresh information about Niagara wines flowing to the readers of LENNDEVOURS. I’ve written about a handful of wineries producing dry wines that I’ve been excited about, but I’ve dealt with some trepidation concerning some of the others in the region. It’s the same feeling you might get when a new girlfriend comes home with you to meet your family. There’s always that one aunt or uncle that you haven’t quite mentioned before everyone meets face to face. Well, it’s about to get awkward as I introduce you to the Niagara region’s Aunt Hybrid and Uncle Vitis Labrusca. I personally don’t find anything exciting about vitis labrusca, while at the same time, at least 1/3 of the wineries up here have more of these wines than vinifera. I’m sure there are more than a few great ones up here, perhaps the best in the state, but I just don’t know how to judge such things. The bottom line is that they can be instant profit for these wineries. They can be quickly turned around, don’t require barrels and don’t demand the same attention as their vinifera cousins. When these wineries create a good sweet blend and market it with a catchy name, it can result in instant brand loyalty among its drinkers. I’ve seen wineries scrambling to keep them on the shelves when they’re done right. Indeed, the sweet producers aren’t losing any momentum. How can they ignore this ability to shave years off the marathon race toward profitability? What do you do if those ubiquitous bus loads and limo trains tend to bring out the sweet drinkers (as is often the case here in Niagara)? Do you start sweetening your Riesling? Do you buy a few tons of Niagara or Catawba to satisfy the demand? I’m not sure what the answer is yet. I do know that twenty years ago the Ontario government used subsidies to encourage pulling out native grapes and replanting with vinifera. They also formed the VQA (Vintners’ Quality Alliance) to brand and regulate dry wine to boost consumer confidence. And I still see plenty of sweets in the Finger Lakes, but they have so many wineries now, you could spend a week there just stopping at wineries that feature only vinifera. Like I’ve said in recent posts, the best to come out of the Niagara region may still be in oak, stainless steel or on the vine. Young vinifera vineyards are coming online at an exponential rate, but if you do make it up here and only drink dry wines, be warned that you should do your research to see who’s pouring what. And if you forget to do that, just ask the tasting room employees where you can find what you’re looking for. I mentioned earlier this week that I've been impressed by some 2005 Finger Lakes cabernet francs. Well, this is the one that I liked best in that recent blind tasting. From the moment I pulled the cork, I knew this wine was going to be interesting. Once in my glass, complex aromas of camp fire, black pepper bacon, sweet vanilla, cocoa powder and intense black fruit fill the room. When I re-tasted this wine the next day, the smokiness had stepped back a bit, with fruit coming to the forefront and subtle herbal qualities emerging. Smoke and spice lead on a palate that is medium-to-full weight, but rich, mouth-filling black raspberry and blackberry flavors follow closely. The finish is very long, lingering with distinct notes of basil and thyme. By the second day, the basil and thyme notes had woven their way throughout the wine, with more black pepper spice showing as well. This is definitely more a Bordeaux-style cab franc, as opposed to Loire. It's also one of the best Finger Lakes reds I've had. Wine In Grocery Stores: Coercion? Boycotts? Intimidation? The issue has become so heated, so emotional, that some wineries feel threatened. Liquor stores are predicting widespread closures and job losses if the bill passes. And while New York wineries figured this was not their war to wage, they increasingly find themselves dragged into the debate. What's going on? There is no doubt that wineries feel threatened by liquor stores. After speaking to 15 winemakers and winery owners in the Finger Lakes, only two agreed to speak to me on the record. All said they've felt pressure from angry liquor store owners to support the liquor stores vs. grocery stores. Six told me they were surveyed by phone for an official position on the issue, with the warning that the "wrong position" could result in a boycott of their wines among liquor store owners. I saw you on the news yesterday. Thanks for trying to put me out of business. I used to like pushing your wines but now just looking at them makes me want to puke. I'll never sell any of your wines ever again! When we beat this proposal I hope it's you that goes under. "It's unfortunate, and it's been hard," Osborn said, noting that Hoosick Street has not carried Fox Run wines for at least the past year. "I want a solution that will allow liquor stores to thrive, and I think they still can. We've had great relationships with stores around the state, and we're committed to helping them in any way we can. Having our wine in grocery stores does not mean we want other stores to fail." The new law would not allow grocery stores to host tasting events, and Osborn said that Fox Run will continue to hold regular tasting events in liquor stores. "They provide a great service to customers, and it's in all our of interests to see that continue." The liquor store association is going to list on their Web site all the wineries that are on our side. I feel sorry for those that are not. Most stores are not going to support those not on our list. "I took that as a very clear threat," Miles told me today. "And the threat has already materialized. We work with 77 liquor stores in this state. Several have already called me to tell me they are pulling my wine off their shelves. Others are declining to order more. I've even gotten calls from liquor store owners who never carried my wine, and they call to warn me to change my position or they'll never carry it in the future." I spoke to Lepore today, who said the email was a big misunderstanding. "It was absolutely not a threat," Lepore said, explaining that the disputed part of the email was just a small part of a long back-and-forth with Miles. "I still carry his wine. I will continue to carry his wine. The reason I wrote what I wrote was because I wanted to help him, as a small business owner, see what might happen in other stores. But that doesn't mean I want people to boycott his business." Lepore said that since his email to Miles was released to the public, liquor stores owners from across the state have been calling. "I tell them to carry what sells," Lepore said. "You have to take care of your customers first. But I can't control what other store owners do, because we're all independent. Are they going to drop Miles? Some will. Are they going to carry new Miles wine? Some of them won't. But I don't think anyone is coercing anyone. You have the right to carry what you want to carry. I'll carry Miles and 400 other New York wines because that's what sells and that's what I believe in." Miles told me he's already heard from customers who can't find his wines where they are normally carried. "We want customers to call us or email us directly if they can't find our wines anymore, and we'll ship directly to them. We'll provide free shipping. We want people to have access to our wines." Miles said that if liquor stores coordinate a boycott, "They could hurt wineries very badly. I don't deny that. But I'm just surprised at this reaction. I don't want to hurt liquor stores. I think liquor stores deserve more rights to sell other products if grocery stores get wine. I strongly support liquor stores in getting more opportunities to sell." But Jim McKenzie of the New York Liquor Stores Association told me that's not what liquor stores want. "We want the system kept the same," he said. "We're going to lose a thousand liquor stores if this goes through. We don't want to negotiate for other things." McKenzie also denied that there is a coordinated effort to boycott New York wineries that don't support his side. "We don't want to make enemies with anyone. There might be an owner here and there who decides to pull certain products, but that's uncontrollable. There might be store owners who feel like they're getting screwed, for lack of better term, and maybe they don't know how to respond. But we are certainly not encouraging (a boycott)." At risk are not just the liquor stores, McKenzie says, but small wineries likes Miles. 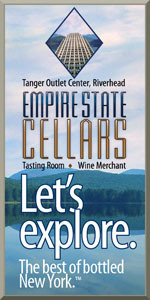 "Small wineries grow by eventually getting their products in liquor stores. Their wines are sold by knowledgeable people who specialize in wine. Customers hear their stories and learn about who they are and what they do. If grocery stores get wine, small wineries will suffer." Miles appreciates the sentiment, but he points out that only 3% of liquor stores in the state carry his wines, and of those 77 stores, "Maybe about a dozen are actively selling our wines. We appreciate it so much. Our relationships with liquor stores is important. But it's still a very, very small number of liquor stores that are showing interest in small wineries like us." And yet most smaller Finger Lakes wineries are either neutral or in support of the liquor stores. Bob Madill of Sheldrake Point thinks liquor stores need to prepare for the bill's passage. "I'm very concerned about liquor stores closing," he said. "But 35 states sell wine in grocery stores. I think it's going to happen here. And if it's going to happen, we need to work with stores to make sure we're preserving jobs and maintaining the outstanding work that they do for customers. We can't be making enemies -- this is an important time to work together." Note: We know that this is only a part of the governor's proposal, this isn't meant to be a comprehensive story. Gewurztraminer is a love-it or hate-it sort of grape. I love it. Nena -- most of the time anyway -- hates it. The sometimes-overwhelming rose petal perfume that the grape exhibits turns her off. But Sheldrake Point's 2007 Gewurztraminer ($20) is one wine that we both enjoyed during a recent tasting of New York whites. A brilliant medium straw yellow in the glass, the nose is only lightly floral -- rather than overwhelmingly so -- and is spicy and gingery with classic lychee and pineapple aromas. Make sure that you don't over-chill this wine, or the beautiful aromas will be muted. Sweet pineapple flavors are accented by light hints of white flowers, ginger, sweet spice and citrus zest. The flavors marry harmoniously on a medium-bodied, nearly dry (.3% RS) palate that shows terrific acidity and balance. Spicy and zesty, the finish lingers with apple and apple skin on the very end.